If you are interested in purchasing books in a larger quantity order, please visit our Book Orders in Quantities page. This book narrates a young boy’s journey as he attempts to understand and cope with his mother’s abrupt mood swings. Written to be read with a therapist, parent, or other trusted adult, the story of Alex reassures affected children that they did not cause and are not responsible for the volatile behavior of their parent. Written by Dr. Rachel Rashkin-Shoot, a psychologist educated at the Adler School of Professional Psychology, with an amazing talent for explaining advanced notion in words that children can understand and enjoy. This book was wonderfully illustrated in colors by Danni Diol. To place your order, follow this link to our secure partner Unhooked Books. Hey, That Kid Got Issues. Maybe It’s ADHD. This book intended for children ages 6 to 10 is about a family’s experience with ADHD. The book helps children and their parents understand why some children cannot sit still, talk too much, have difficulty following directions and paying attention. About the story: As a single parent, Earnest loved his son Justin and took great care of him at home. Yet, Justin started to get into trouble at school. Justin’s behavior was of concern. His grades also fell behind. His teachers did not know what to do to help him, and his Dad started to be very worried. Once his Dad learned about ADHD, he took the time to learn special parenting techniques that work well for children with ADHD. He also got therapeutic help for Justin. Things improved noticeably for Justin and his Dad. Includes a “Parent’s Corner” section, with many great ADHD resources and further reading for parents. Written by Earnest Williams Jr. and beautifully illustrated by Steve Howard. This is a cool book! To place your order, follow the link to our secure partner Unhooked Books. 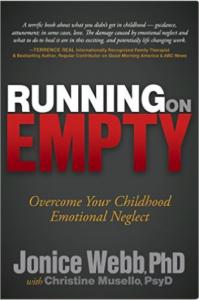 This book is intended for children and adolescents who have experienced some form of trauma. Narrated by 12-year-old Abigail, the book is written in a straightforward but gentle style and has a strong psycho-educational component. The idea is to normalize the response that many children have to overwhelming events in their lives. Through Abigail’s story, trauma is put into simple terms that kids can understand and it’s done without delving into details of her own or any specific trauma, but focusing instead on responses to trauma and the healing process that follows. Interactive questions at the end of each page encourage discussion among children and the trusted adults in their lives. This book was wonderfully illustrated in colors by Dale Hormuth, exclusively for PDAN. This book provides clinically sound and age-appropriate information for children, answering questions about the borderline personality disorder of a parent, and suggesting ways to cope with the difficult situations. Through analogies of weather patterns, the book provides psycho-educational comments by a “weather wiz” who explains the mother’s sometimes strange behaviors that can be challenging to comprehend. The wonderful illustrations help with the understanding, and lighten the story with humor. This book will help teach children to better understand what is happening at home and how not to feel responsible for their parents’ stormy times. 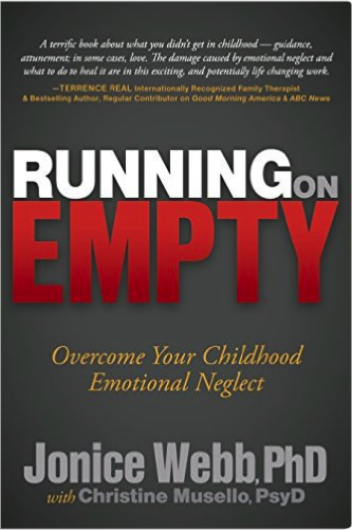 Running on Empty is the first self-help book about Emotional Neglect: an invisible force from your childhood which you can’t see, but may be affecting you profoundly to this day. It is about what didn’t happen in your childhood, what wasn’t said, and what cannot be remembered. E-book available from Amazon (Kindle). 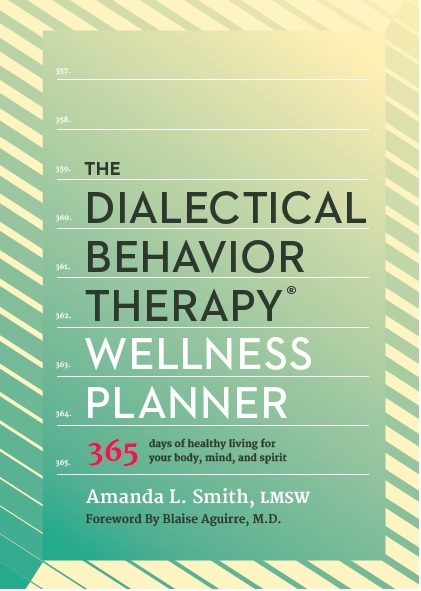 This book is a helpful tool for anyone who struggles with emotional sensitivity and/or Borderline Personality Disorder to use as you work toward creating a healthier, more meaningful life—a life worth living—by balancing acceptance and change. Use it to help manage anxiety, maintain sobriety, or just keep your life in better balance. 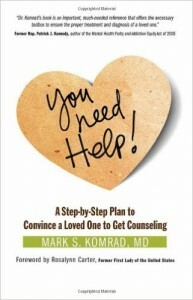 You Need Help: A Step-by-Step Plan to Convince a Loved One to Get Counseling., published by Hazelden Press. With a Foreword by former First Lady Rosalyn Carter and cover endorsements from Senator Patrick Kennedy and author/actress Carrie Fisher, the book is a guide for those struggling with a troubled relative or friend to try and convince them to get psychiatric help. Agreeing to get treatment is often the most difficult first step in getting well. Starting with the techniques for successful encouragement and persuasion, the book proceeds through increasing uses of the power inherent in relationships: from working with key allies, to the use of “therapeutic coercion” within a family. In its step-by-step approach, the book takes the reader all the way through mobilizing the involuntary evaluation process should that be necessary, including tips to maximize the outcomes of that process. Finally, it shows you how you can help support your loved-one once treatment begins. To place your order, follow this link to Buy on Amazon.